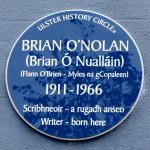 Brian O’Nolan was born at 17 Bowling Green, Strabane, Co. Tyrone on 5 October 1911. He was educated at Blackrock College and University College Dublin where he started his literary career by contributing to the UCD magazine Comhthrom Féinne under the names of Brother Barnabas and Count O’Blather. O’Nolan joined the Civil Service in 1935 where he worked in town planning, retiring in 1953. The Irish Civil Service prohibited the writing of articles and letters on current affairs so he used a variety of pseudonyms writing satirical letters to newspapers, sometimes criticising his own letters using different names. 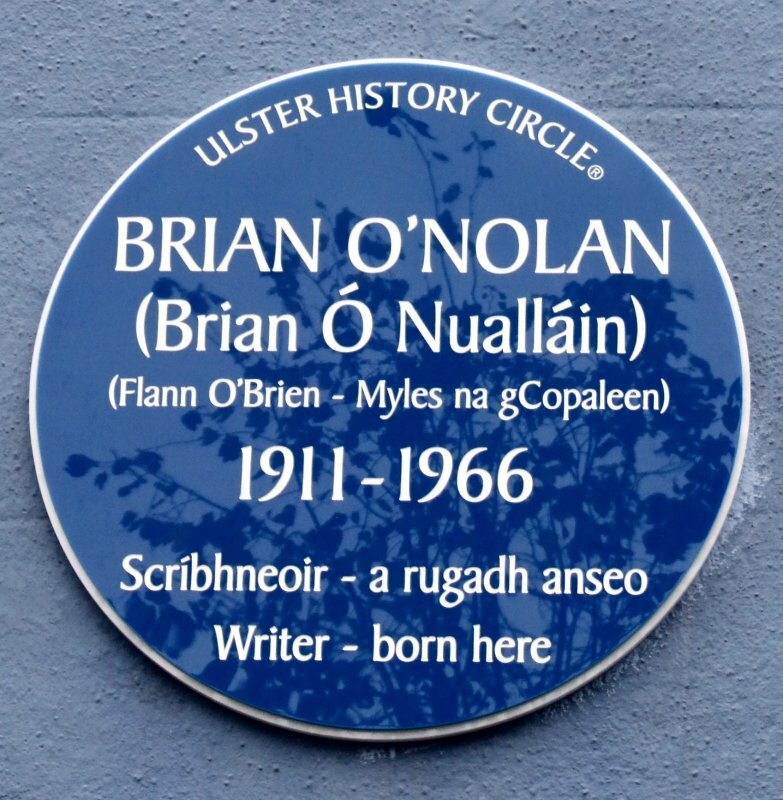 His novels were published under the pseudonym Flann O’Brien. His first one, At Swim – Two Birds, published in 1939 is regarded as a masterpiece. The Third Policeman written in 1939-40 was published posthumously. Other works include The Hard Life, 1961, The Dalkey Archive, 1965. An Bheal Bocht written in Irish in 1941 and translated into English in 1973 as The Poor Mouth. He wrote two plays Thirst and Faustus Kelly which was produced in the Abbey Theatre in 1943. Using the pseudonym Myles na gCopaleen (Myles of the Little Horses) he wrote a column for the Irish Times under the title Cruiskeen Lawn. 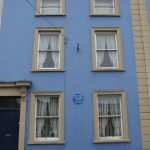 The column first appeared on 4 October 1940, continuing right up the time of his death, in hospital in Dublin on 1 April 1966. 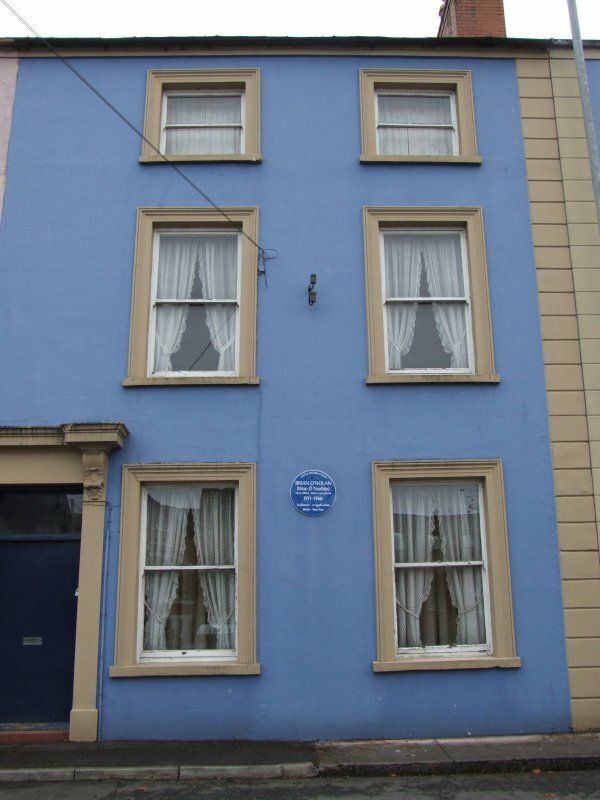 Flann O’Brien is considered a major figure in twentieth century Irish literature. The British writer Anthony Burgess said that, “If we don’t cherish the work of Flann O’Brien we are stupid fools who don’t deserve to have great men. Flann O’Brien is a very great man.” Burgess included At Swim-Two-Birds on his list of 99 Great Novels.